Dana Barron was born in New York City into a well known and respected theatrical family. Her grandmother, Marion Weeks, was a Ziegfeld Follies girl and the first person ever to sing in a ‘talkies’ film that was directed by Thomas Edison. 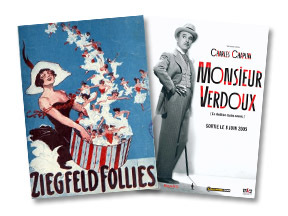 Marion’s sister, also a vaudevillian, won local acclaim for her performance in “Monsieur Verdeaux”, a Charlie Chaplin film. mother’s passion for the theatre and after a successful career as an actor and director opened the world’s first school for commercial and soap opera acting. The Weist-Barron School of Television has been in business for over fifty years with at one time eleven locations throughout the United States. 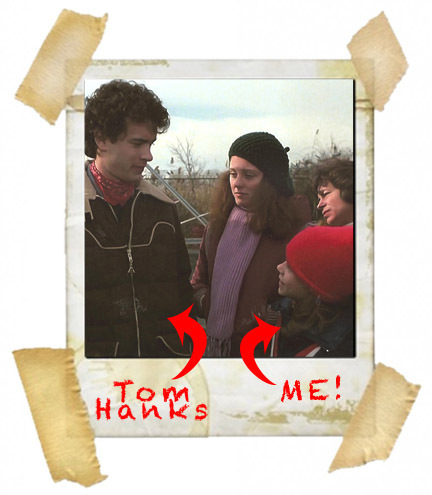 Confident of her hereditary skills, without a single acting lesson, Dana auditioned for, and got, a part in the film, ‘He Knows You’re Alone’ opposite another first time actor, Tom Hanks. This lead to a role in the Broadway play, ‘Hide & Seek’ starring Elizabeth Ashley. Dana had become the fifth successive generation as a performer in her theatrical family and by the turn of the century she completed over seventy film and television projects. Dana attended Hunter School for eight years (Hunter only accepts children who have tested in the top one percent in New York City). After graduating high school Dana remained in New York City to continue her acting career and to attend New York University’s Stern School of Business (the Stern School of Business is the second top rated undergraduate business program in United States). While starring in the hittelevision series, ‘Beverly Hills 90210’ and various films, Dana managed to graduate with distinction from the Business Program majoring in Business Marketing and with a minor in Psychology and English. In 2005 she also received her Associates degree/ certification in Early Childhood Education from Santa Monica College – graduating with a 4.0 – Dean’s List. At age twenty-two Dana attended a restaurant management course at NYU and with several other students from the business school opened and managed a restaurant (Chumley’s ) in Greenwich Village. After seven years, the last three of which Dana spent in Los Angeles pursuing her acting career, it became evident her partners were something less than honest (addictions) and the business relationship was dissolved. 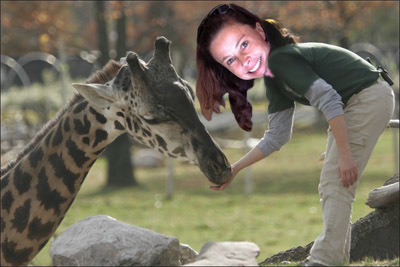 When in New York, Dana is a part-time teacher at the New York City Zoo & the Natural History Museum. One of Dana’s greatest passions is her charity various work. Despite her busy schedule, Dana for the last nineteen years has been a teacher and volunteer for United In Harmony - an organization that provides a summer camp for homeless and under privileged children. In the year 2000 Dana, along with Pierce Brosnan and Jane Seymour, became a founding member of ‘Children Uniting Nations’ – an organization that holds a mentoring event (International Day of the Child) for two thousand foster children. Dana won an Emmy for best actor on a project for Symphony Pictures, ‘No Means No’. Symphony Pictures is an independent film company co-founded by Martin Sheen. In pursuit of her ambition to develop and make films Dana joined Symphony Pictures as Director of Development and Co-produced her first film for Lifetime called, “Seduced By A Thief” starring Sean Young. In 2002, Dana became an executive producer for National Lampoon and produced several projects for their television network. Her biggest project was a co-production between Symphony Pictures and National Lampoon called, “Pucked,” starring: Jon Bon Jovi & David Faustino. In 2006 her biggest dream was realized by the birth of her son, Taylor Barron Vickerman. Kind-hearted, altruistic yet wonderfully cheeky Dana (along with Michael Vickerman (writer/prod/director – Long term relationship) could not be prouder of their son. Although Dana has slowed down in acting ‘just a tad’ Dana has still has appeared in several projects – including, ‘HAPPY THANK YOU MORE PLEASE’ that won the 2010 Sundance Audience award, Hallmark’s ‘NAUGHTY OR NICE’ that was the highest rated cable movie of 2012 and Dean Devlin’s LEVERAGE (starring Timothy Hutton). Dana’s latest project, ‘SNOW BRIDE’ will be released on the Hallmark channel in Nov/Dec 2013.